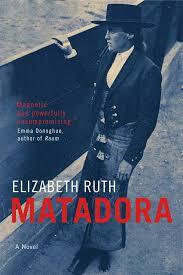 Matadora by Toronto-based writer Elizabeth Ruth is an ambitious book, about an ambitious woman. This novel follows Luna Callabero Garcia, a peasant girl who works as a servant on a ranch in Southern Spain in the 1930s. Orphaned (supposedly) and burning with a passion to rise above her lot in life, Luna sets her sights on becoming a bullfighter, despite the fact that her class and her gender prevent her from ascending to the top status as a matador. Luna unconsciously hopes that bullfighting will fill the empty hole in her heart from the loss of her mother at childbirth as well as alleviate her poverty. I loved the sound of this novel before I even cracked the cover. I’m always interested in the idea of women breaking into male dominated fields, although bullfighting makes me squeamish and the descriptions in Matadora certainly made me disgusted at the senseless violence directed at both human and non-human animals. 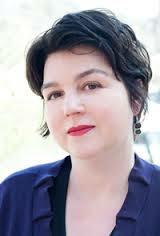 But, I appreciated how Ruth didn’t turn the subject into a polemic against bullfighting and that rather, without ever exactly condoning it, Ruth looks into the complexity of Luna’s place in this Spanish cultural tradition. It would be quite easy to condemn this peculiar ritual, but it’s much more difficult to look at the contradictions and intricacies. Luna, for instance, believes the bulls are her equals; that is why she can fight them. Ruth often focuses on the artistic appeal of Luna’s passion too, which is both sport and dance. Admittedly, I had trouble feeling emotionally involved for the first half of the novel. Luna is emotionally closed off and I found it hard to connect with her as a character. Hmm, actually now that I think of it she reminds me of my ex-girlfriend. Ha ha. Anyway, this made sense for what Luna had gone through, but it was frustrating as a reader. The two sons of Don Carlos function as her patrons and Manuel, the older brother who’s given up bullfighting to follow his passion, poetry, felt more emotionally accessible to me than Luna. Manuel treats Luna like a sister before they find out that they actually are siblings. The other brother, Pedro, however, never rises above his self-serving impulses, even in his marriage to another complex woman named Marisol, ambitious in her own way. If you’re anything like me, I have to warn you that if you’re expecting queer content right away or a ton of it, you’re in for a disappointment or at least a wait. Luna does have a brief earlier teenage romance with a fellow bullfighter, but he’s a boy so it didn’t hold my attention too much. I found myself a little impatient for the queer stuff, to be honest. But that might just be my romantic Pisces heart. I had almost given up, actually, when a red-headed Canadian woman is introduced when Luna and her team return to Spain after having made her career in Mexico. She’s an enchanting woman, in Spain to work with medical teams supporting the resistance in the Spanish civil war. It’s no wonder that both Luna and Manuel fall for her. The novel really picks up in this third and final section that takes place during the war, and we finally get to see some of Luna below the surface. In fact, I would have liked this section to be expanded. It’s vulnerability that is finally visible when Luna realizes Grace, the Canadian, is capable of breaking her heart. It humanizes her and really made the character for me. But does Luna have room in her heart for more than one love—a woman and bullfighting? What kind of commitments are the most important? Can romantic love be an art like bullfighting? Can the love of a woman match her passion for bullfighting? Just where do her loyalties lie? I suggest you get a copy of Matadora and find out for yourself. This entry was posted in Bisexual, Canadian, Fiction, Lesbian, Queer, Toronto and tagged bullfighting, Spain. Bookmark the permalink.